Today is the last day to buy alcohol in Massachusetts before taxes go from 0% to 6.25%. As I wrote earlier this week, several retailers are offering enticing deals leading up to the increase so it's obviously a good time to stock up. I think it's safe to expect retailers to offer 6.25% off deals after the hike but that of course will only get us back to where we were before the increase. Once the change goes into effect, I expect to be personally conflicted over whether to support MA retailers or go to nearby New Hampshire where the state runs the liquor stores and there are no additional taxes at the point of purchase. The thing I like about the state-run liquor stores in New Hampshire is that they list the wines they carry on their website including the inventory of each wine at each of their locations. What I don't like about these state-run stores is that they don't list the vintage of their wines on their website, they have limited selection, and they're not nearby. Oh, and the fact that they're run by the government is strange to me. I know they're not the only state in the union that does things this way, but why on earth is the state government in the business of running liquor stores? Bizarre. This just in from The Boston Globe: The Massachusetts Package Stores Association is seeking to get the question of whether alcohol should be taxed at the point of purchase on an upcoming ballot. According to the article, MassPack will be doing some research to see whether consumers would support un-taxing alcohol at the point of purchase with an eye towards a ballot question in November, 2010. I was in San Francisco for the Design Automation Conference this past week. I had a pretty busy schedule, but I did manage to meet up with 2 guys who write wine blogs that are the most similar to The Wellesley Wine Press that I've found. The first is Jason's Wine Blog, and the second is RJ's Wine Blog. It was absolutely awesome for me to sit down with people who I have so much in common with (thanks to blogging and Twitter). I'd highly encourage you to check them out and add them to your feed reader if you haven't already. A quick update on traffic here on the site... July was another record breaking month with more than 7,000 page views. I continue to be humbled and appreciative of your interest and support. Thanks to all of you who have visited, subscribed to the site, or told a friend about The Wellesley Wine Press. It really means a lot to me. Friday, July 31st, 2009 is the last day to purchase alcohol in Massachusetts before taxes go from 0% to 6.25%. Local wine retailers are taking advantage of this unfortunate compelling event by adding extra incentives to stock up. Julio's Liquors in Westborough is offering 25% off all non-sale items. Thanks to reader D.S. for the tip on this one. You can get 6.25% off the already low prices at Bin Ends Wine in Braintree with the promo code SALESTAX. Bin Ends has an e-commerce site so you can shop around without driving down there. Follow @binendswine on Twitter if you need help making a selection. Upper Falls Liquors in Newton has 20% off all of their non-sale wines if you purchase 6 or more bottles (as opposed to a typical month where only certain categories are on sale). Follow @upperfallswine for more info. Some of the best deals never hit the Internet. The Hingham Wine Merchant has been sending out E-mails this week with some intriguing plays. In particular a $40 Russian River Valley Pinot Noir that I normally see for $60 caught my eye. Give them a call at (781) 740-9393 if you'd like to check what they have in the categories you're looking for. Oh, one more thing. Don't forget that we're giving away a wine aerator here on the WWP! Leave a comment on this piece by July 31st for your chance to win. Question of the Day: Any other deals you're seeing leading up to the tax increase? Last week, I ran a piece on 5 Freaking Delicious Wines (that wine geeks won't make fun of you for drinking). I promised to follow-up with some picks from local wine merchants. Establishing a relationship with a trusted local wine merchant is advice I hear quite frequently, and we're fortunate to have some outstanding shops here in the Boston area. One of my favorite stores in the country is the Hingham Wine Merchant. Every time I go down there, it reminds me of a trip to my favorite baseball card shop as a kid. I could spend hours there talking with them, or comparing notes with other customers on some of our favorite wines in the store. They've even got a kids play area! Now that's smart retailing. “I am always hunting for wines that stand out amongst the others, not only in taste but quality and price.” I have found the highest quality to price ratio in a lovely Malbec made by Argentina powerhouse Luigi Bosca. Luigi Bosca bottles an array of different wines and varietals, but none have the mouth feel and finesse for a better price than their D.O.C. Malbec. 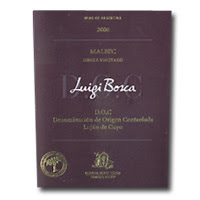 For a sound $17.50 their 100% Malbec from the Lujan de Cuyo D.O.C. is superb and will out beat any other in its class and with ease. Ripe cherry and plum aromas on the nose with sweet black fruit and a lengthy finish combine to give your palate a quite pleasurable experience. All of the fruit follows strict protocol to protect the integrity of the Lujan de Cuyo denomination and further adds to the wines single vineyard status. “It’s a knock out”, simply put. Mike Reardon of RWJ Beverage runs the wine stores within the BJ's Warehouse Club locations in Danvers and Stoneham. A while back, I stopped into his Danvers store to do a little mystery shopping but I was foiled- Mike recognized me from this site! I'll have to start wearing a disguise. Kudos to Mike for reading local wine blogs to get a feel for what potential customers are saying about wine. Well done. Mike's business model is one I actually like quite a bit: Operate within a warehouse club to keep foot traffic high, stock a limited number of wines from recognizable brands that have received high ratings from publications like Wine Spectator, and offer them at impossibly low prices. Dashwood New Zealand, Marlborough Sauvignon Blanc (available for $7.99). "This is the perfect crisp clean Sauvignon Blanc that is vivid and refreshing which makes it my favorite summer deck wine." Caymus Conundrum (available for $17.99). 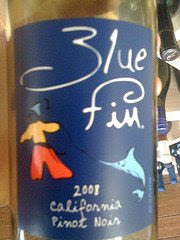 "This is rich with apricot, melon, pear, and a hint of vanilla and is balanced with sparkling acidity of citrus fruits. I love this table wine to enjoy with friends and family during these summer months." Further reading: Which grocery stores in MA sell wine? I'd like to thank Raphael, Sean and Mike for their recommendations. They are truly appreciated and I'd encourage you to check their stores out if you're ever in the neighborhood. Question of the Day: What do you think of these retailer picks? 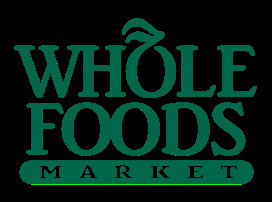 Whole Foods in Wayland, MA will stop selling alcohol on July 14th, 2009 as they transfer the precious liquor license to a new store in Dedham, MA that is currently under development. The new 60,000 square foot store will be part of the ambitious Legacy Place, which is scheduled to open this summer. The reason Whole Foods needs to transfer the license (rather than simply obtain a new one) is because Massachusetts limits any one retailer from holding more than 3 liquor licenses. Here is a list of grocery stores in the state that sell alcohol. An obvious winner in this is nearby Post Road Liquors. However, I've heard from several sources that there's a chance that the law that limits grocery store wine sales to 3 locations might be changing. Details are fuzzy on this, but seem to revolve around legislative changes that don't involve asking voters for their opinion this time. If you've heard anything about this, please do leave a comment below or drop me an E-mail. Question of the Day: Where would you recommend as a next-best alternative to shoppers who used to buy their wine at Whole Foods Wayland? 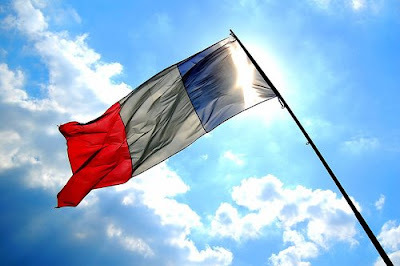 "We've enlisted the help of a Bordeaux expert for a seminar on this most famous of wine regions to mark Bastille Day. Learn about the vast diversity within the region, the difference between Right- and Left Bank reds, the less-known but equally wonderful whites and the famous sweet wines of Sauternes. Bordeaux has a reputation for being expensive, but all wines tasted will be low- to moderately-priced. Extraordinary artisan French cheeses from the Boston Cheese Cellar will accompany the wines." Click here fore more information and to buy tickets online. I've attended sessions similar to this one at Blanchards previously (one featuring Riesling and the other Brunello). I thought they were fantastic. The events are presented in a sit-down format and offer a combination of wine tasting, light food, and education. Knowledgeable presenters, excellent wines, surprisingly good food, and best of all- I've met really nice people that I've kept in touch with since. A discount on the wines being tasted -and- on any wines purchased that night has been offered at past events. I first discovered Blanchards while the much-heralded 2005 Bordeaux vintage was coming to market. My research at the time indicated that they had the best prices on the wines I was looking for from this category, and they have since had a high batting average when it comes to stocking wines I'm looking for at very competitive prices. 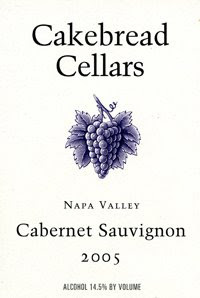 Napa Cabs from the 2006 vintage are most typically what you'll find in stores as current releases by now. And while Wine Spectator has only rated about a third of what they'll end up eventually reviewing over the next year, there have already been a few pleasant surprises for folks that buy wine based on their ratings. One that jumped out at me, based on QPR, was the 2006 Chappellet (pronounced: sha-pell-lay) Signature Napa Valley Cabernet Sauvignon. The 2005 vintage of this wine was quite intriguing to me for its overt coffee aromas. It literally smelled like a Starbucks in a very good way. I tasted it as part of an 8-way head-to-head blind tasting which pitted 4 "Steakhouse" Cabs against 4 value picks at one of my favorite local wine shops. Chappellet is a brand that flies a little bit under the radar screen. Yes, it's in big name restaurants and wine shops, but it's lurking right behind the Silver Oak, Caymus, Jordan and Cakebread (ohhh- Cakebread...) and at a fraction of the cost. I cracked open a bottle of the 2006 recently. I felt it was a bit "closed" at this point, but elegant and full of potential. It's not at all luscious, or overt or obvious. It's young. But it's good- very good. It's kind of like Natalie Portman in the movie "Beautiful Girls". Or Ken Griffey Jr. when he first joined the Mariners- effortless power. Have a look at other opinions on CellarTracker- the wine is trending quite favorably even at this young age. A nice story that goes along with this wine was that the 2005 (88 points WS) carried a release price of $47. Due to the bad economy, however, the winery dropped the release price on this year's vintage to $42. Now that's a move I can get behind! You might be wondering- how can a $42 wine be considered a value? Well, it's a value because it is so good and yet relatively affordable compared to its expensive peer group. Have a look at this piece that includes a histogram of the Wine Spectator ratings of 2005 Napa Cabs for a more complete discussion. Buy 2 or 3 bottles and hold them for 2-3 years if you have a good storage situation. Others? Drop me an E-mail or leave a comment below. Question of the Day: If you've had Chappellet wines before, what do you think of them? If not, what are some of your favorite Napa Cab producers that deliver consistent value? A couple of weeks ago, I tried something new on this site and I wanted to follow up to let everyone know how it went. One of my favorite wines, Cakebread Cellars Cabernet Sauvignon, is very hard to find in Massachusetts. Making it even more difficult to obtain is the fact that it is illegal to have wine shipped from retailers out of state. As a result, we're limited to a handful of wine retailers in the state that have e-commerce sites. One that I've checked out a few times, but had never purchased from previously is Table and Vine. I noticed they had Cakebread Chardonnay available on their site at a very reasonable price. Some retailers tend to jack up the price if they are able to get their hands on Cakebread it seems, so I was curious whether they might be able to get me some Cabernet. This is the kind of question that I wouldn't take the time to E-mail, and it's not the kind of question I'd take the time to ask over the phone. It's the kind of question you'd ask if you happened to be in a wine store and a friendly clerk asked if they could help you find anything. There is where Twitter comes in. Table and Vine is on Twitter so I thought I'd ask them: "@tableandvine Like your Cakebread Chard at $34.99. Any chance you could score some Cakebread Cab?". A little while later I got a response: "@RobertDwyer still checking on the Cakebread Cab....hard to get item that everyone LOVES". Then a week or so went by and they sent me a direct message letting me know that they had it in stock, what the price was, and asked whether I'd like to buy some. Cool! I then put up a blog entry asking others if they'd like to join with me on a purchase of Cakebread or other wine from Table and Vine so we could get a case discount and save on shipping costs by combining an order (Table and Vine is in an hour and half west of me). In total, 5 of us went in for 15 bottles of wine. Two I'd never met before, and I have to say- it was very rewarding to discover that people I'd never connected with were reading this site and very interested in coming together as consumers this way. In the end, I think it was a win-win for everyone involved. The folks at Table and Vine sold over $700 of wine that they otherwise wouldn't have sold to us. We each got our hands on some wine that's hard to find at a good price, and we didn't have to drive all over town to find it. We combined our purchases to save on shipping and received a case discount in return. It was all made possible by Twitter, a blog, and E-mail. All of which are free. I think this is a simple but compelling example of how wine businesses can benefit from being on Twitter. You don't need to devote a lot of time and money on a social media strategy. You don't even need to have a web site. Just act human. Be there. Listen and respond. Sign up for a Twitter account today. If you're interested in purchasing some Cakebread Chardonnay, or Sauvignon Blanc head on over to Table and Vine and search for "cakebread". 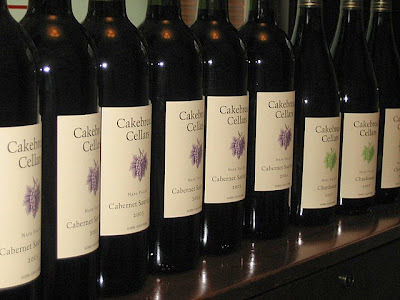 If you're interested in Cakebread Cab, you might want to check Upper Falls Liquors in Newton, MA (617)969-9200. 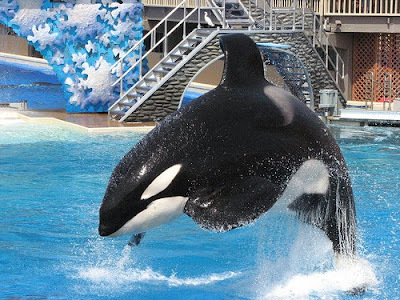 Ask for Mike Jr.
Another place to check is Blanchards in West Roxbury, MA. Click here for Cab. I'd love it if you subscribed to this site to hear about future combined case deals. Question of the Day: Is there a wine you'd be interested in combining purchasing power on? If not a specific wine, a specific retailer perhaps? Leave a comment below and maybe we can make a connection for a future deal. 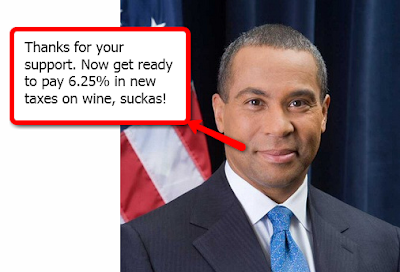 Well, it looks like Massachusetts Governor Deval Patrick has signed into law a tax increase on alcohol purchases. Previously exempt from sales tax at the point of purchase, the tax burden on alcohol at the register will now be 6.25%. So much for Massachusetts being friendly to small businesses. I can hear the automobile engines starting up now for a trip to nearby New Hampshire where there is no tax on wine. The tax goes into effect August 1, 2009 so stock up now. Trying to put a positive spin on it, let's look at it this way: July is tax-free booze month! Why is it that something sensible like selling wine in grocery stores gets voted down, yet introducing double taxation on wine passes with ease? I realize that we all have a responsibility as citizens of this commonwealth pay our fair share. But this tax so disproportionately increases the tax rate on alcohol that it seems absurd to me. Why not just increase the excise tax that is already in place on wine? I also realize it is cliche and crumudgeonly to crow on about taxes, so this is the last I'll speak of it. Underage drinking should never be tolerated, because it could eventually lead to teen alcoholism and a host of other problems. Question of the Day: Is this increase substantial enough to make you consider shopping for wine out of state? Long-time readers of this blog might recall a piece I previously published entitled "Return to Cakebread (or Why you should always share the good stuff)". I'm a big fan of Cakebread Cellars and even though their wines don't get huge ratings from Wine Spectator [88 points for this vintage] I always like to have a bottle of their Cab on hand for special occasions. In my opinion, it is an absolutely delicious and elegant wine, and remains one of my favorites, if not my absolute favorite. I often ask retailers I'm friendly with whether they can find me some Cakebread. Just recently I received notification that some has been located. The retailer is offering the wine at a very fair price relative to its release price of $64. Purchased as part of a straight case (12) the price would fall below the release price. Further, it would be best to buy wine in bulk before alcohol starts being taxed at 6.25% instead of 0% at the point of sale. If you're interested in the 2007 Cakebread Chardonnay Napa Valley, this retailer also has some of that available for just a bit under the release price of $37. This wine was also rated 88 points by Wine Spectator. Send me an E-mail at wellesleywinepress@gmail.com and let me know whether you'd be interested in combining our buying power to purchase some of this wine, and if so how many bottles you'd be interested in. The retailer has only 1 case of the Cab available. Obviously, you'd need to be in the Boston area [or passing through in the near future] for this to make sense. Please let me know by the end of the day Monday, June 29th 2009. I'll be placing the order Tuesday morning. This operation was a success! Click here to read all about how it turned out. Question of the Day: I have no idea whether this is a compelling idea in general, so please leave a comment below with your thoughts on the idea of combining purchasing power on wine. Associated with the Pinot Days live wine tasting event in San Francisco, Taste Live! offered up a online virtual tasting event that was unfortunately overshadowed by the passing of Michael Jackson. RIP, King of Pop. The tasting went off informally Thursday and Friday night on Twitter and since all of the TasteLive! participants weren't on at the same time I thought I'd post a blog entry on the wines, what I thought of them, and some recommendations for your consideration. The 2005 vintage of this wine was one of my favorite sub-$20 supermarket Pinot Noirs. I rated it 89 points and gave it high marks for displaying classic Pinot Noir characteristics at an affordable price point (and wide availability, nice combo). Some research into this wine yielded a couple of curious inconsistencies. Having a look at the winery's page for this wine, it appears that the winery made the decision to go with all screw caps for their wines in this line. However, my bottle had a cork in it. The site also advised that Wine Spectator rated the 2006 88 points, however when I checked the Wine Spectator database I didn't show a rating for the wine yet. It's quite possible that they got advanced notice of the rating -and/or- the rating has yet to be included in the Spectator database. My impression of the 2006 vintage was that it was quite similar to the 2005, but with less earthy aromas. I thought this wine was rounder and warmer than the other wines in the lineup, but this wine didn't taste as "serious" as the others. Depending on your mood this may or may not be a good thing. Would still buy this one without hesitation. 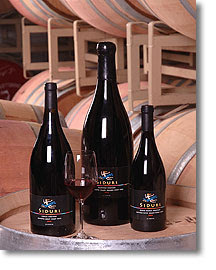 Per Buena Vista, Wine Spectator rated this wine 88 points. Where to find it: Supermarkets everywhere. Recommendation: Re-iterate my buy recommendation if you enjoy a soft, easy drinking Pinot Noir. Especially when you can find it for close to $15. 2007 Landmark Pinot Noir "Grand Detour"
For me, this was a quirky wine. Limited aromatically, but I got a little red ruby grapefruit on the nose [which is quite unusual for a red wine]. A little cloudy- perhaps unfiltered? On the palate, raspberries and cherries- quite delicious. The finish was smooth, but short. Wine Spectator rated this wine 88 points. Where to find it: Specialty wine shops. I was looking foward to trying this wine after enjoying their less expensive (~$20) appellation designated wines, and I was excited to see what a higher price point/single vineyard wine would offer. This wine was multi-faceted. Every time I took another look at it, it was something else. On the nose, it was aromatically intense, offering classic cherry aromas. On the palate, it was a laser beam of intense sour cherry flavors that zapped my mouth as if I was receiving a Novocaine shot at the dentist [but in a good way if that makes sense]. It was full of flavor, and I love that. The finish was by far the longest of the bunch- this wine stays with you. Wine Spectator rated this wine 93 points. Recommendation: An oustanding wine at a tough price point. Learn more about Taste Live! Question of the Day: Have you tried any of these wines? If so, what did you think of them? If not, what are some of your favorite Pinot Noirs?